The SS13 Melbourne Markets launch TONIGHT!! starting at 6pm at the Royal Exhibition building and running until 10pm. We will also be back tomorrow from 10am – 5pm. You will find all sorts of amazing design & art stalls, as well as music (see line up below), feature stalls (see below) and all accompanied with food, wine and coffee! All for a $2 entry fee! It will be an amazing event, with double the amount of debut stallholders now been showcased. 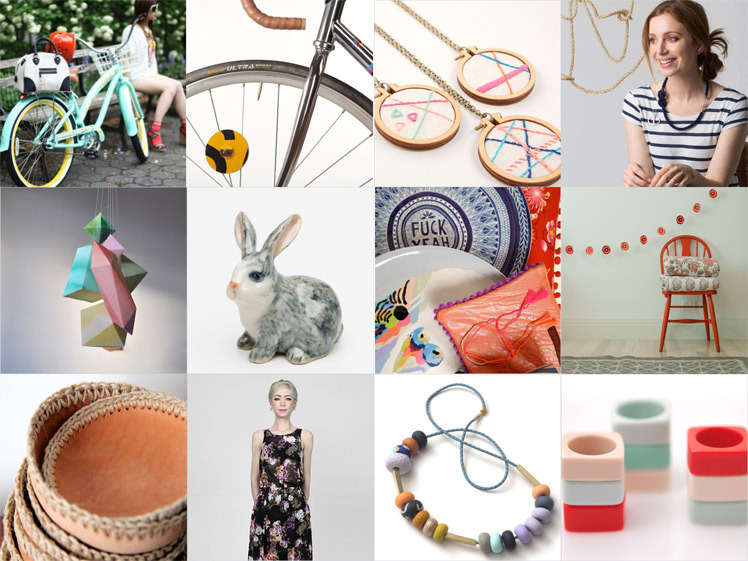 Take a sneak peek of some of the amazing new design stalls below – and go check out all the profiles here. For more information on the event including how to get there, parking and other info. 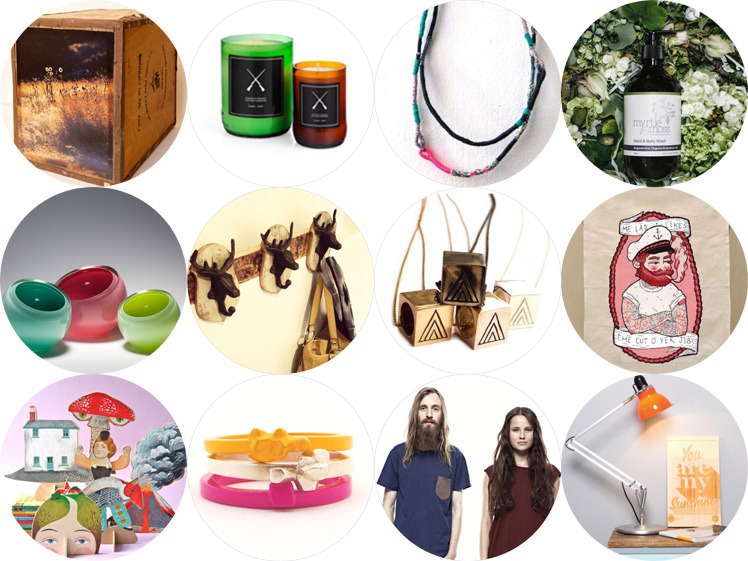 Please head to our Melbourne markets page here. As well as our amazing design stalls – we also have a great line-up of music! Here is the line-up for the tonight & tomorrow, and you can check out more info about the music here. 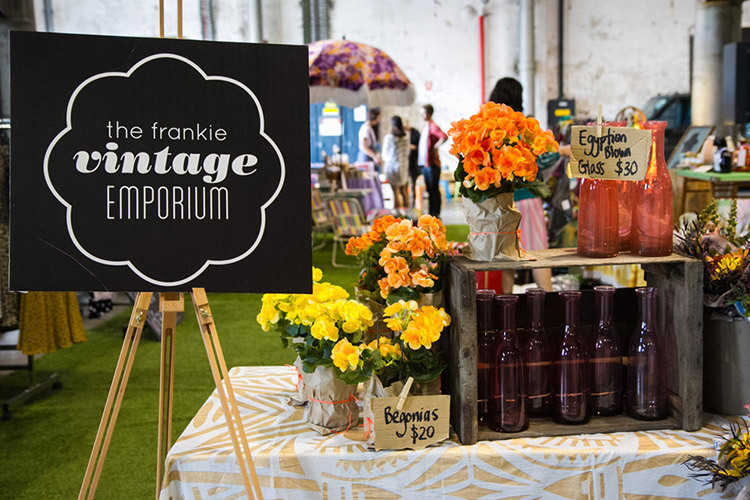 Stop by the frankie stall and you’ll find all our favourite doodads, from oh-so sweet vintage pillowcases to headbands and the versatile gift paper book. We’ll also be stocked up with advanced copies of the 2014 frankie calendar and diary – it’s not in stores until October 14th, so get in quick smart to nab one ahead of time. And if that’s not enough to get you feeling all jittery with excitement, the frankie vintage emporium will be back in action, featuring olde world wonders from Hunter & Co. Vintage, Stratostreak Vintage, Hazene, Little Flea Vintage, The Nana Society and Queen Justine Vintage. Phew! 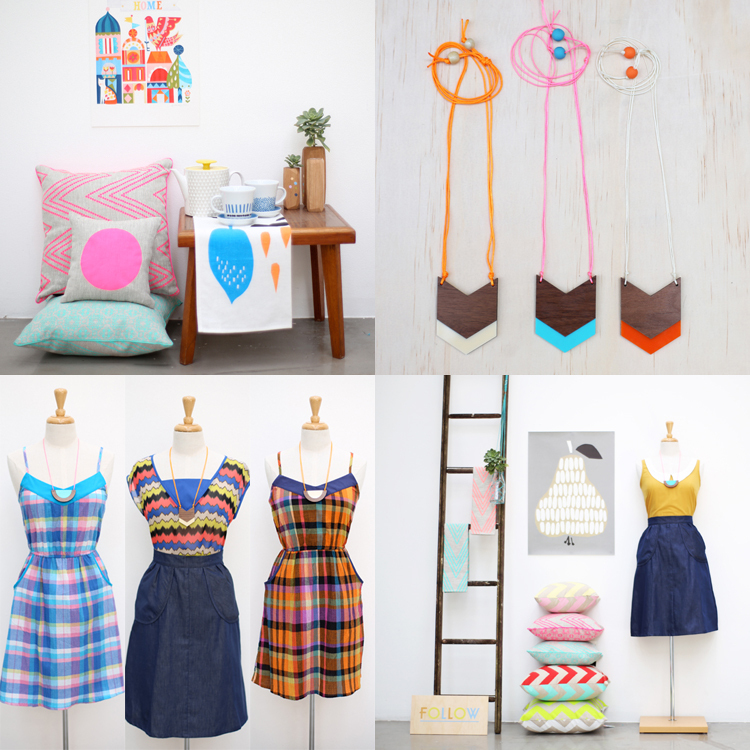 Follow Store is our lovely retail store based in Sydney. 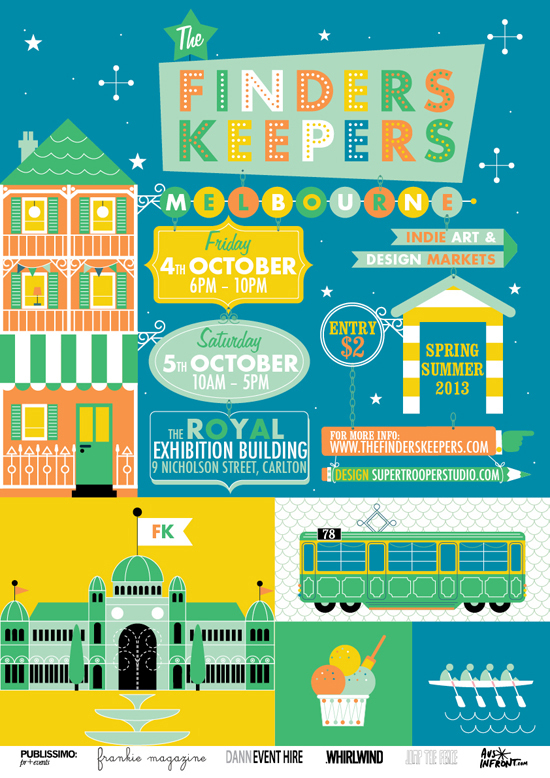 We’re excited to be creating a little pop-up store at the Melbourne Markets this weekend! We are launching our very own Summer clothing & jewellery range exclusively at the Melbourne Markets, as well as showcasing a curated selection of homewares and accessories.